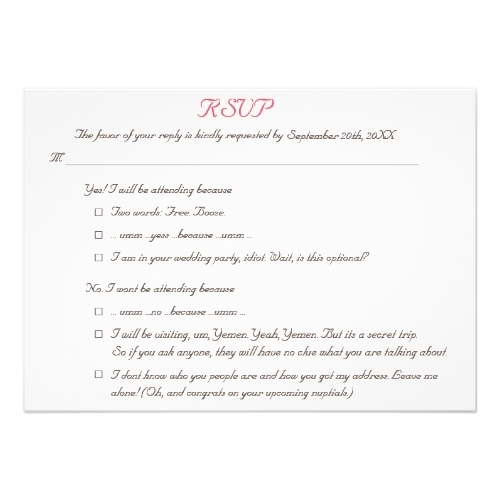 I will or will not be attending because..
A funny, personalized, elegant custom wedding RSVP invitation card, with funny, hilarious reasons given that need to be ticked by your invitees, as to why they will be attending or not attending the wedding. It features bride's and groom's names, and wedding date, at the back. Personalize the card with your wedding date, rsvp date, and bride and groom's names. And choose from 12 different paper types for the RSVP. Each card comes with its own standard white envelope. 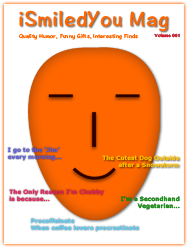 A great, fun, hilarious, humorous RSVP for all your friends and family. A fun invite for bride & groom to send as a couple.